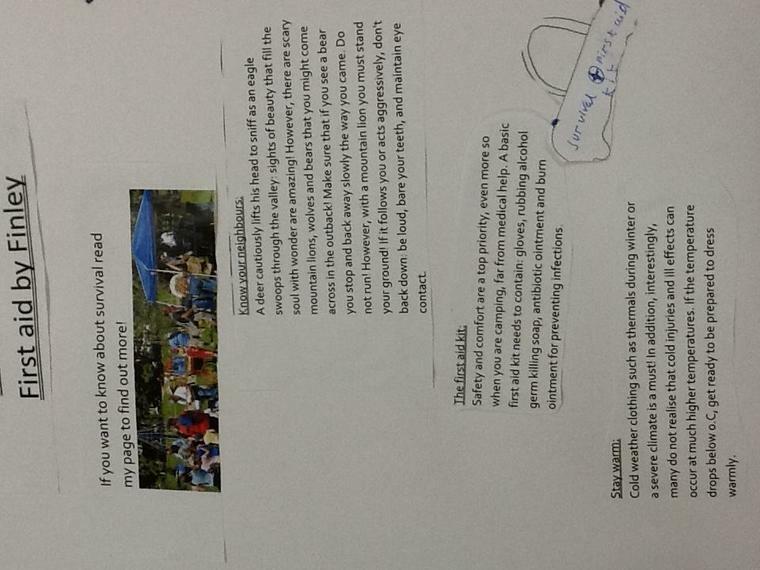 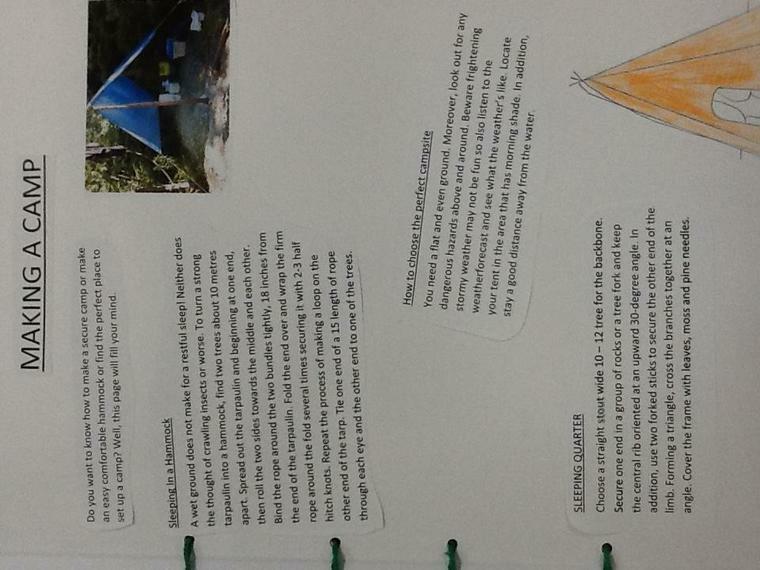 Term 3: What are survival skills? 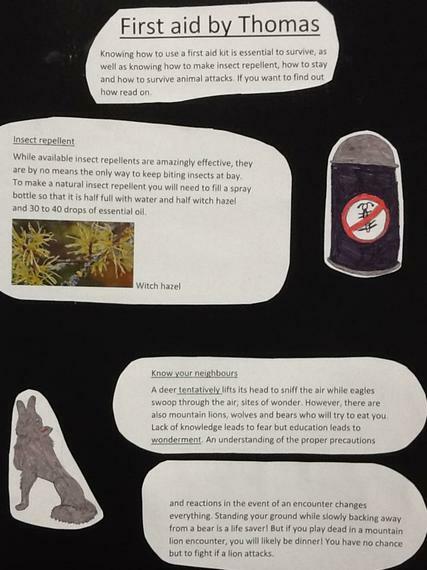 This week we began our Big Question.... What are survival skills? 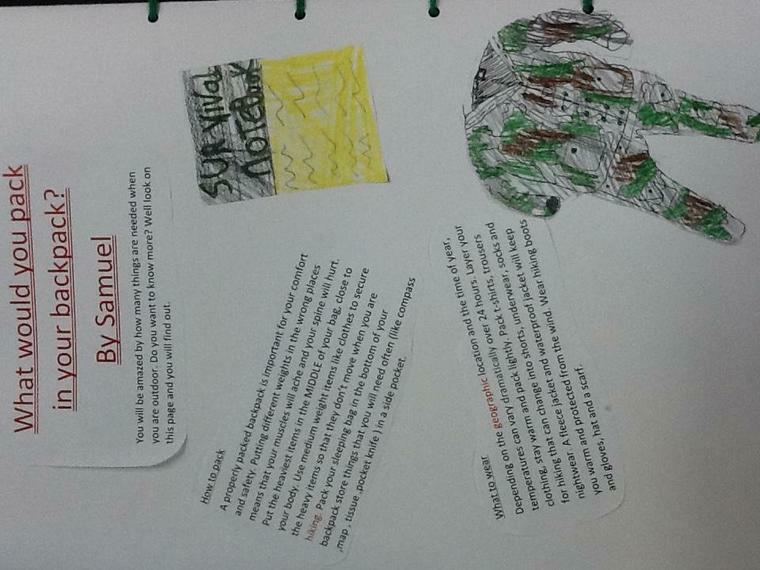 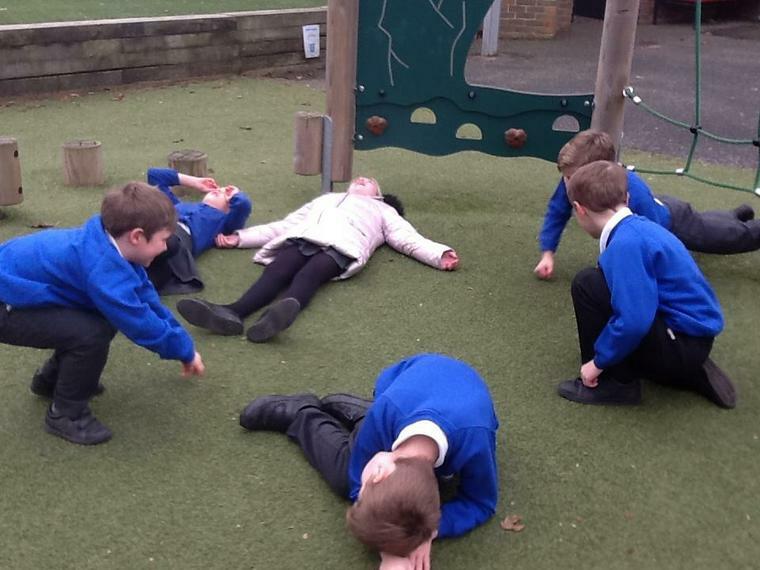 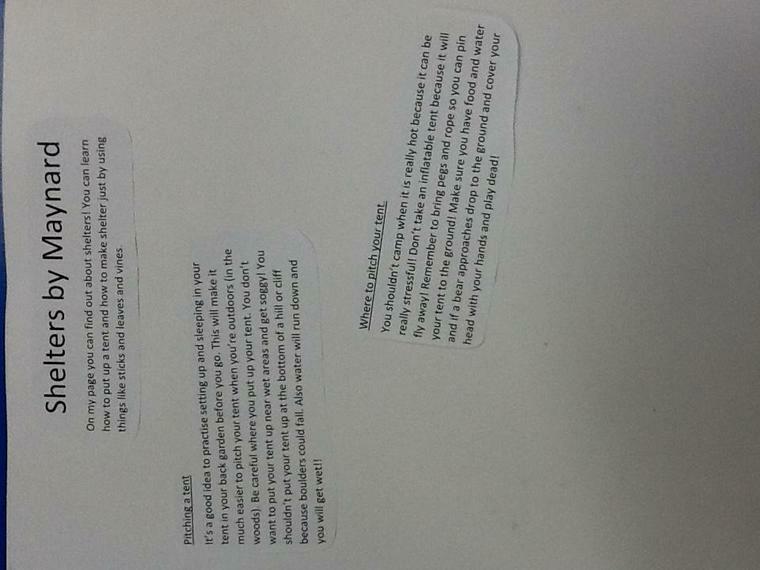 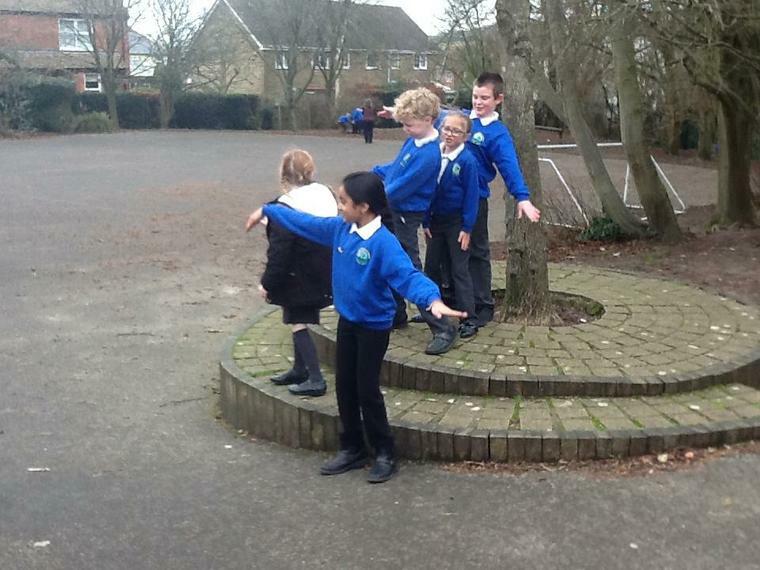 We began reading Gulliver's Travels and used drama to explore the emotions of being stranded on an island! 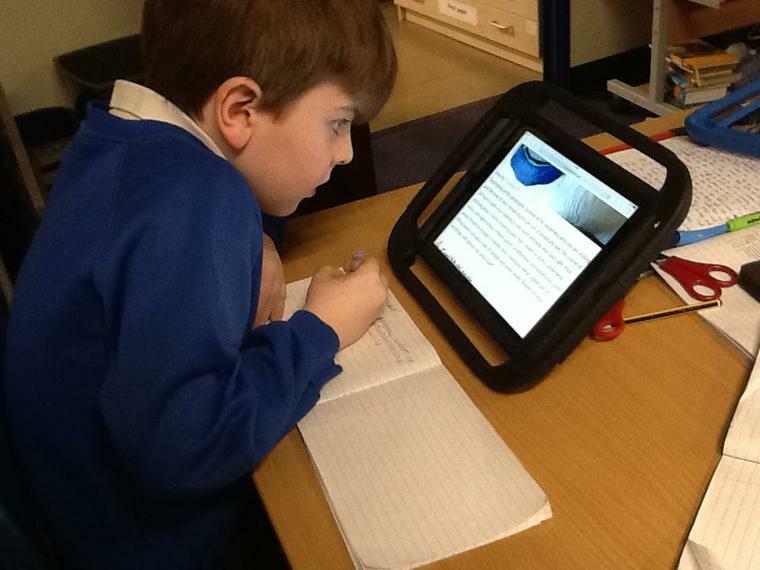 We looked at how we could survive extreme weather and this week considered flooding. 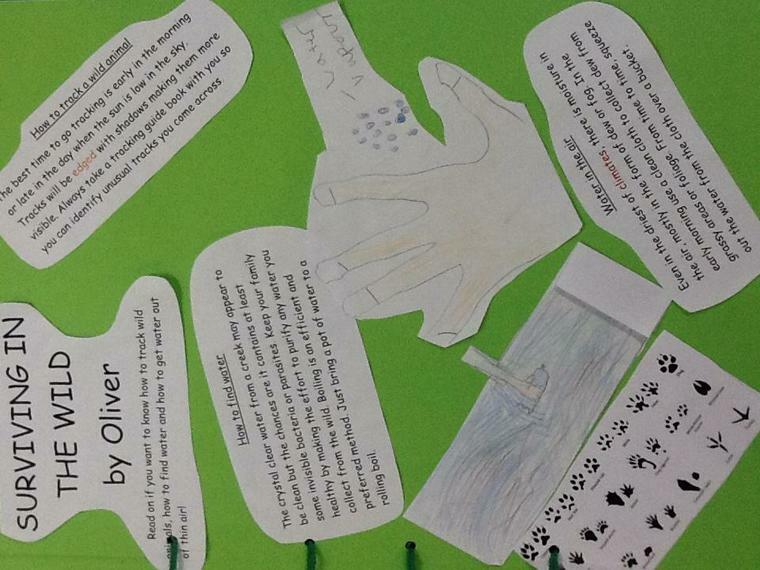 We investigated how flood proof our classroom is and how at risk of flooding Lyminge is based on the river. 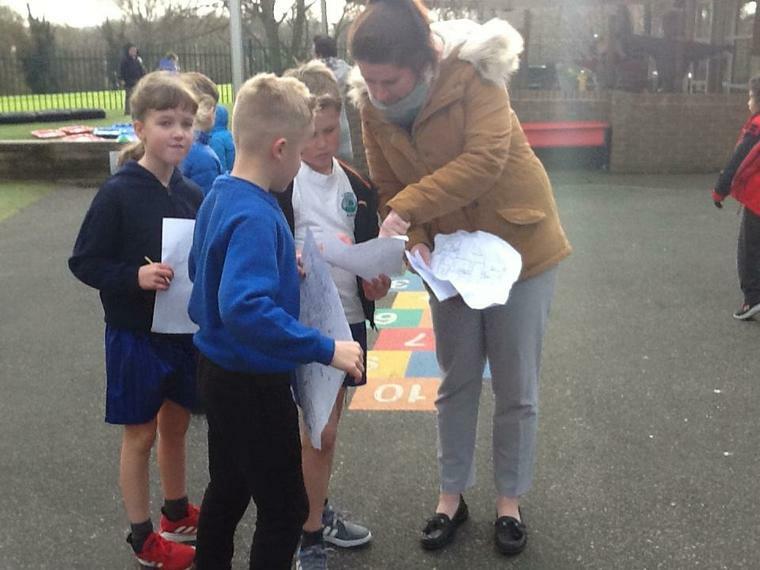 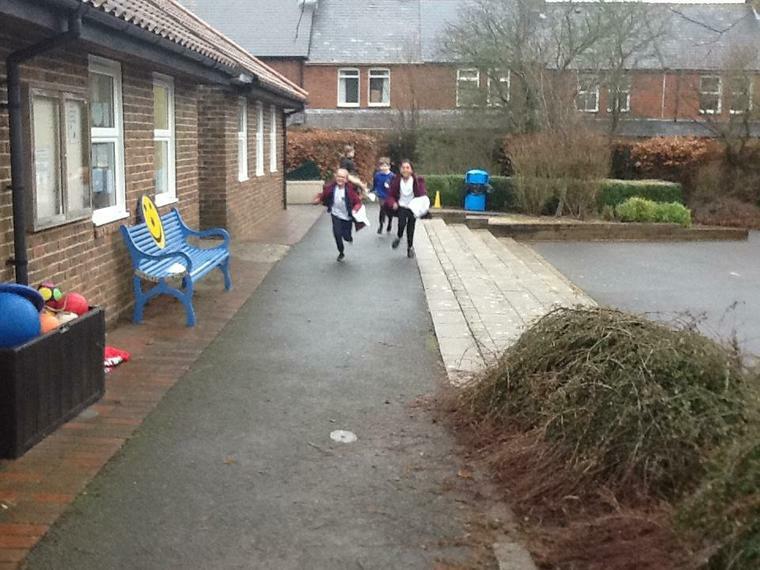 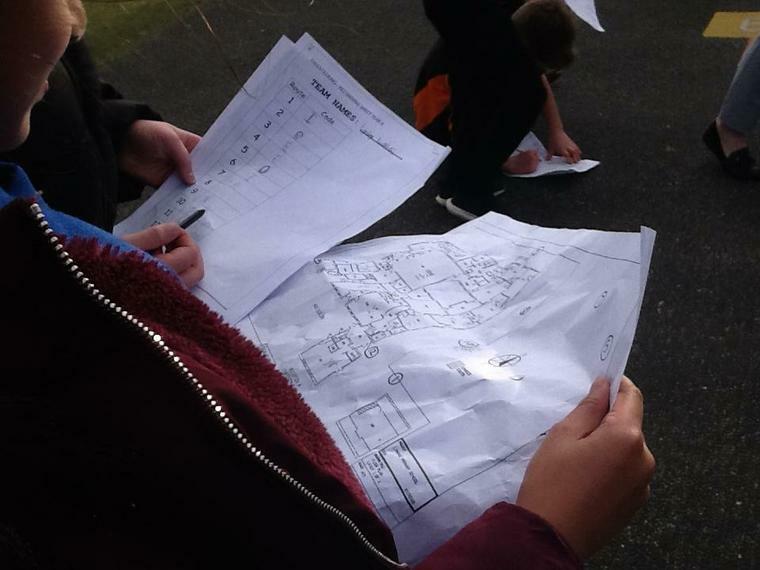 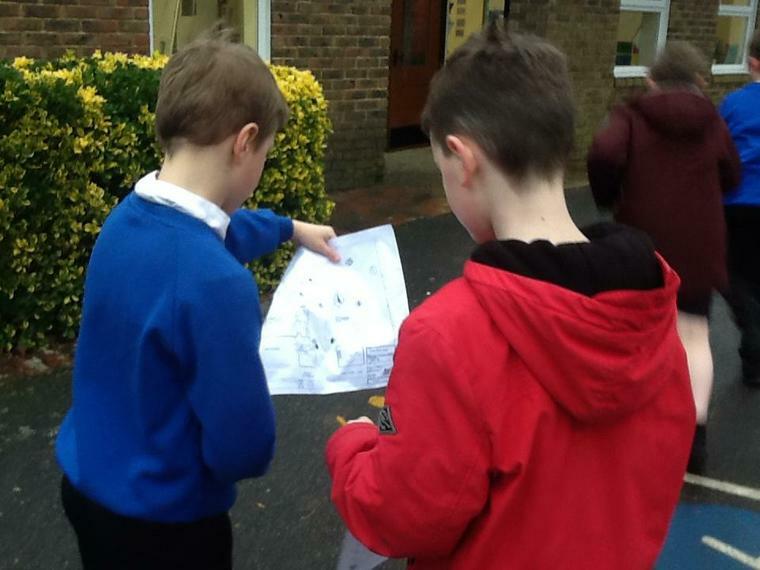 In P.E we had our first orienteering lesson. 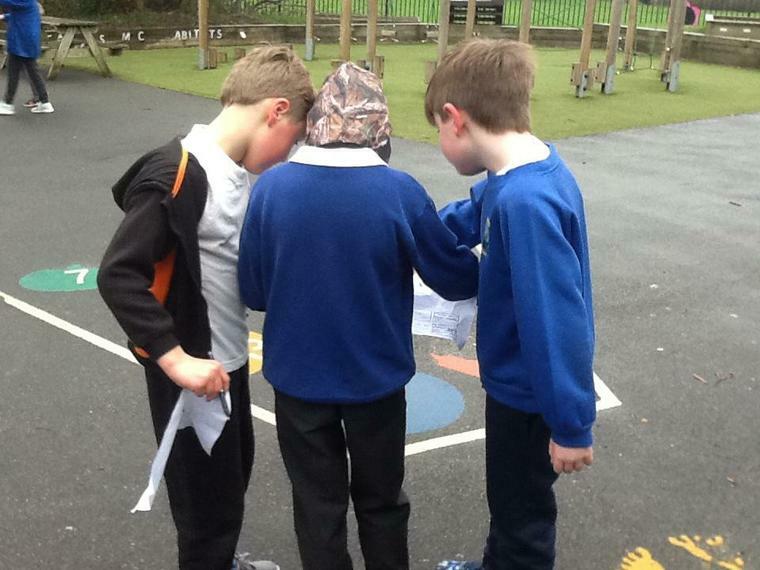 Using a map of the school, we had different letters to find which then created a word! 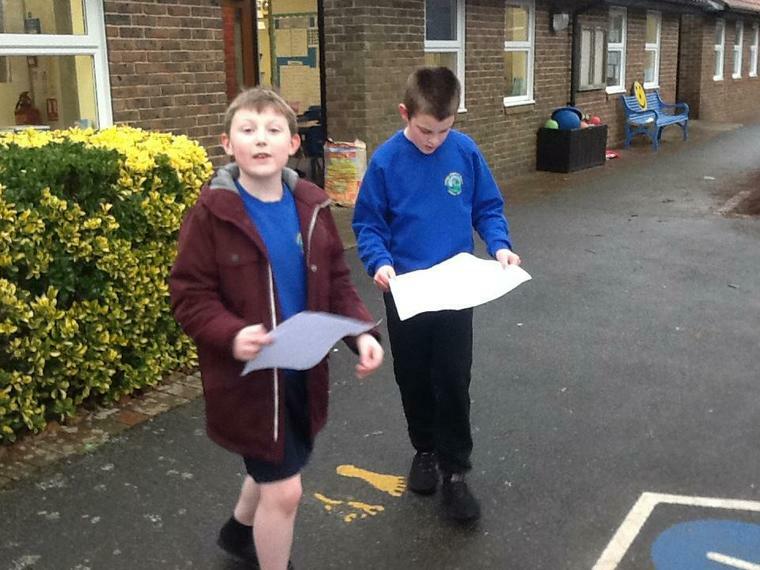 We made a lot of progress by the end of the lesson bearing in mind at the start of the lesson a lot of the class thought that what was in fact the Year 6 cloakroom was our classroom!!! 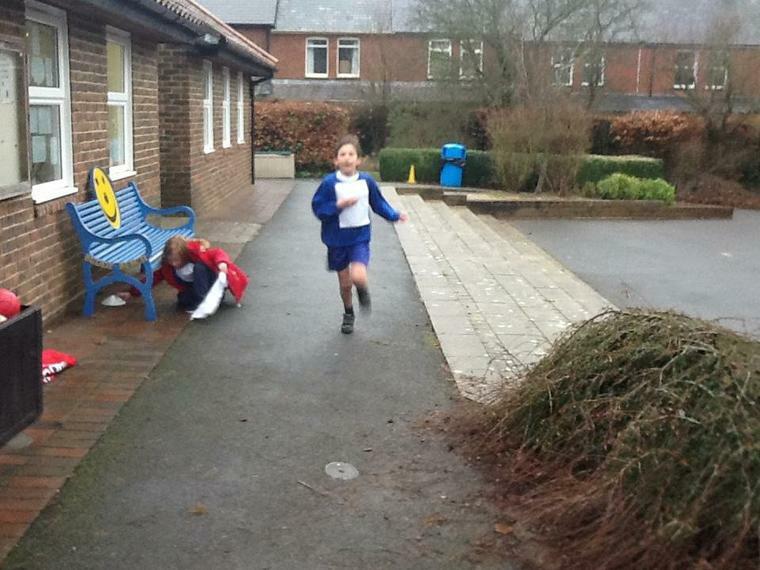 Week 2: What is the Great Shake Out? 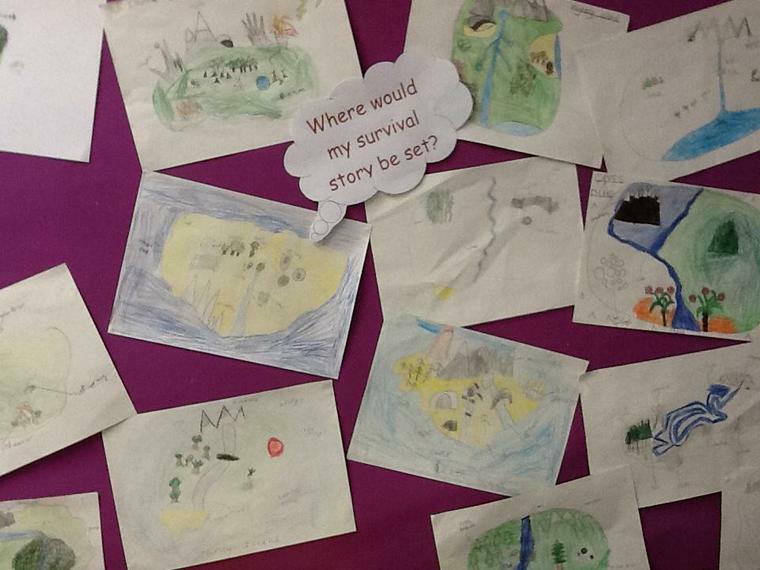 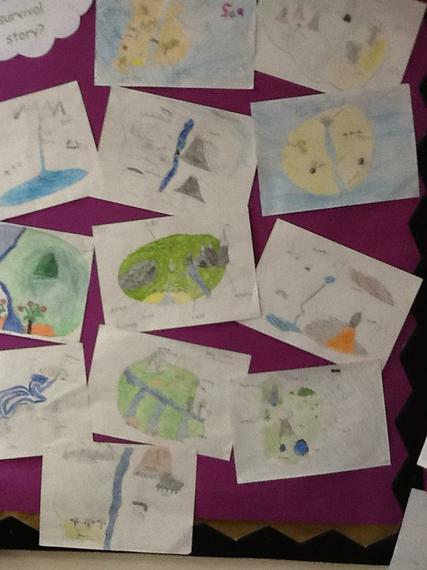 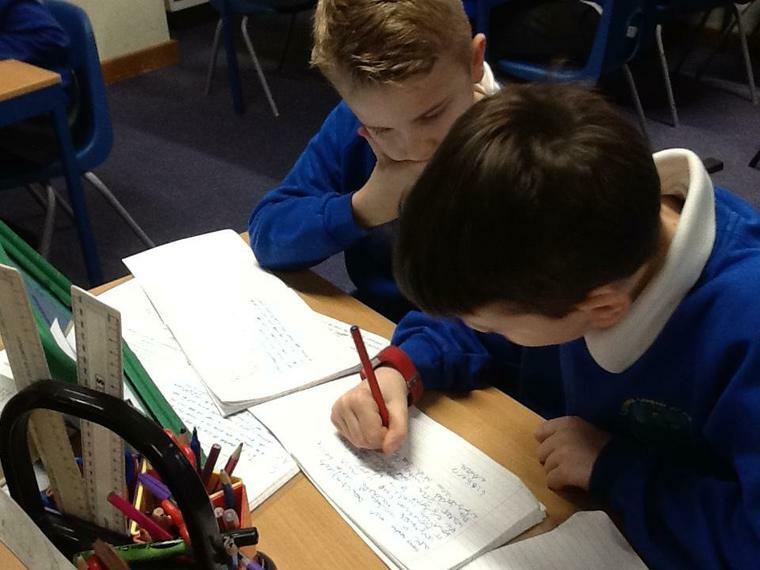 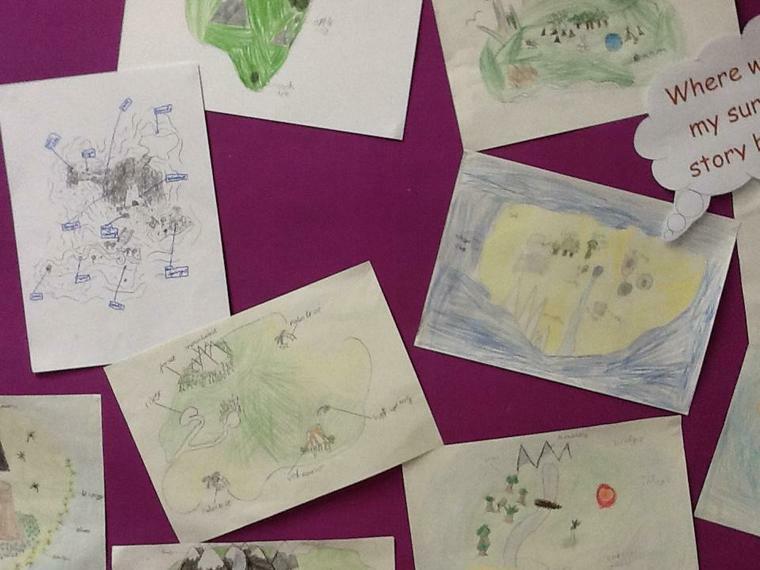 This week we began writing our own survival stories based on our desert island maps. 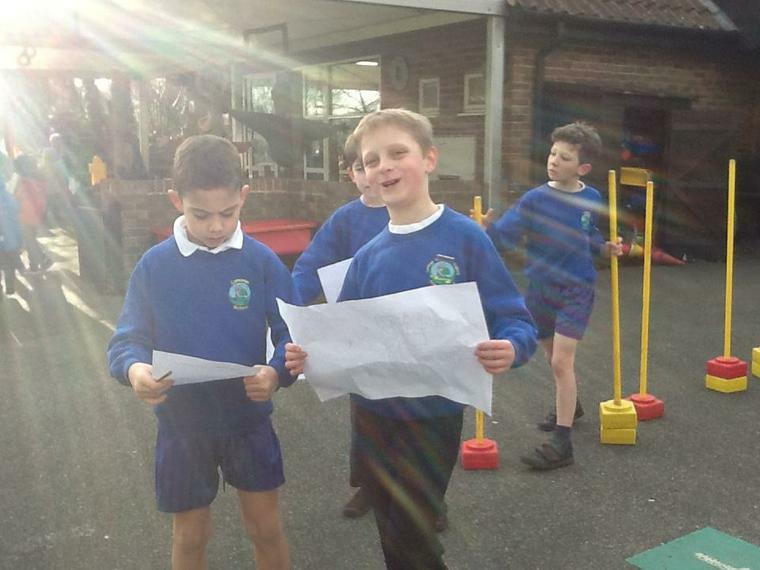 We thought about earthquake/ tsunami survival and had a go at our own 'Great Shake Out' drill where we practised what we would do in the event of an earthquake! 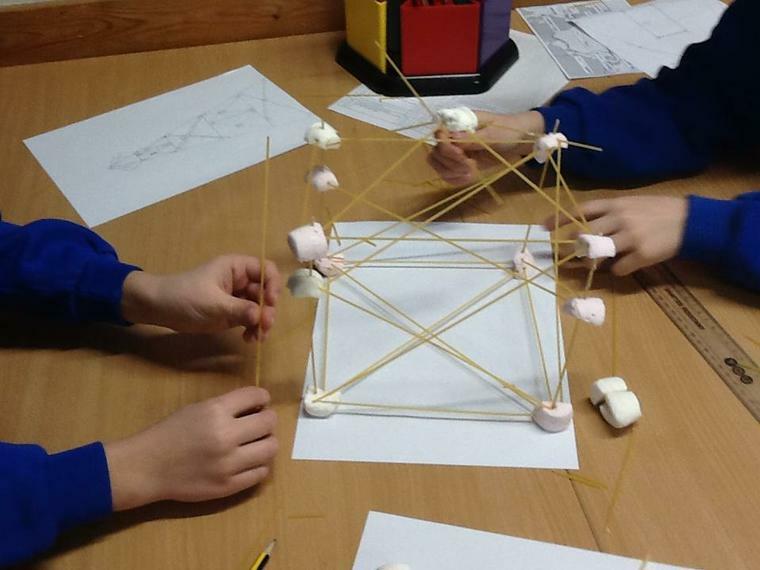 Week 3: Can I create my own earthquake resistant town? 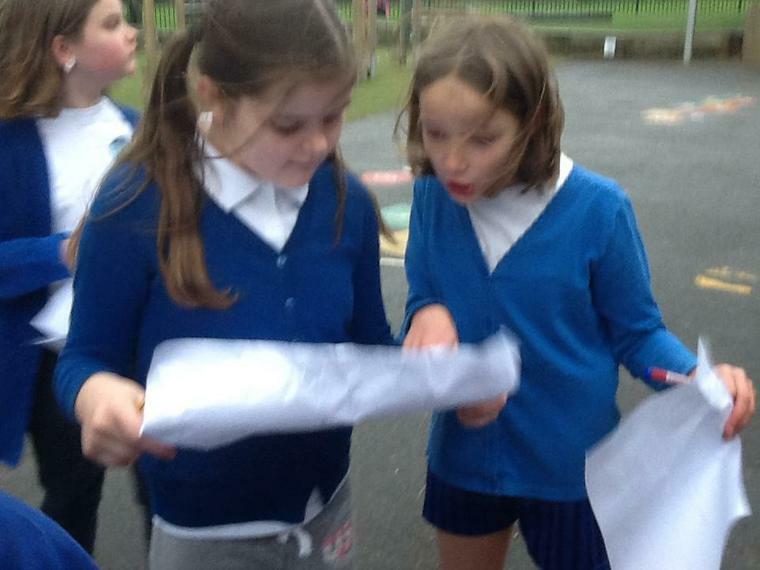 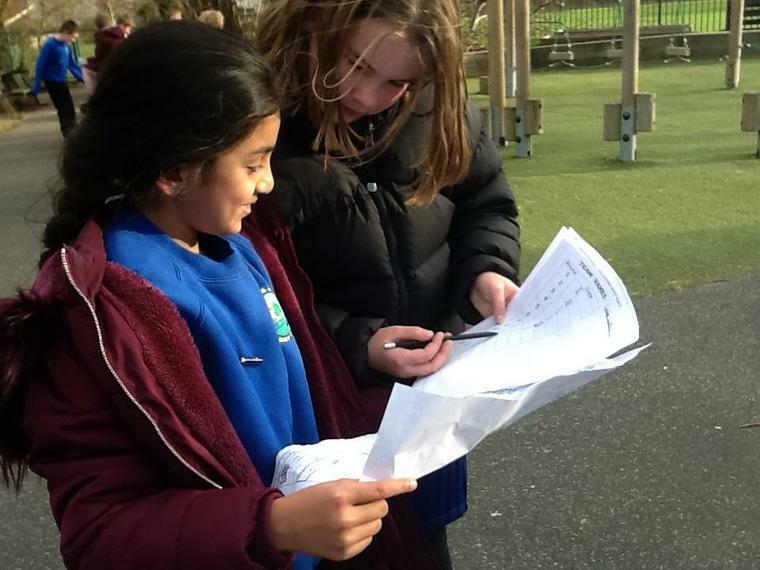 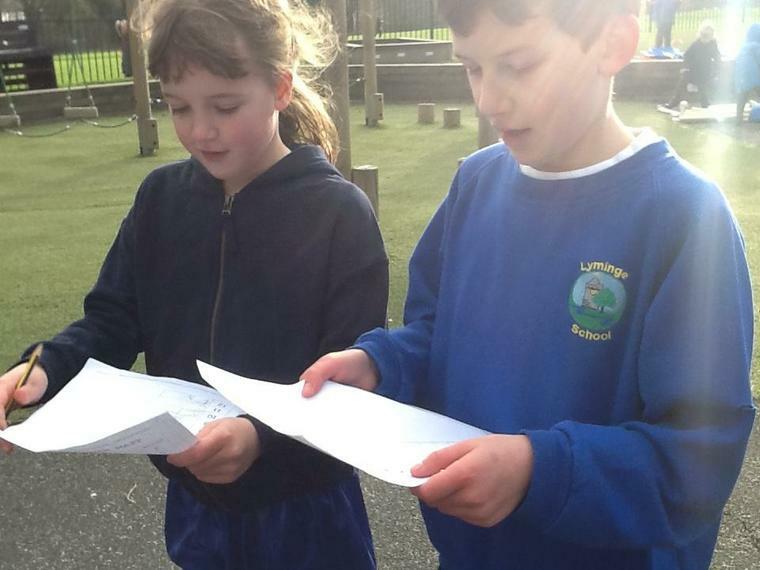 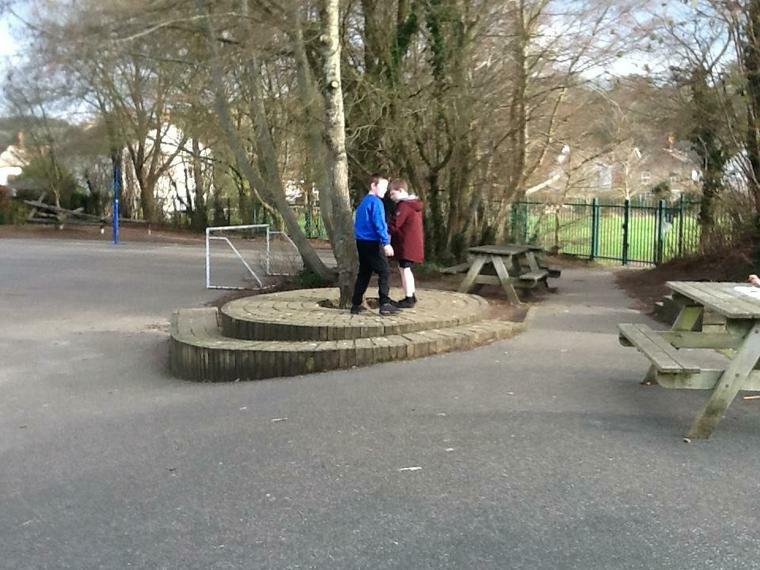 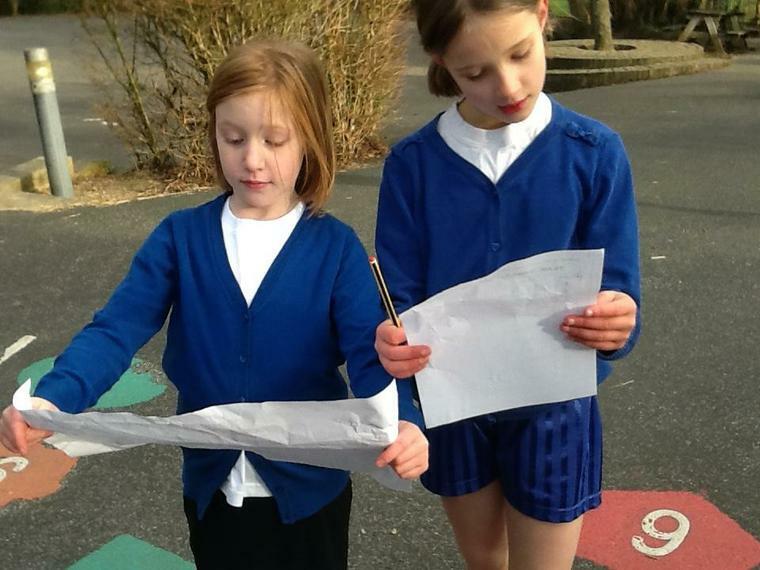 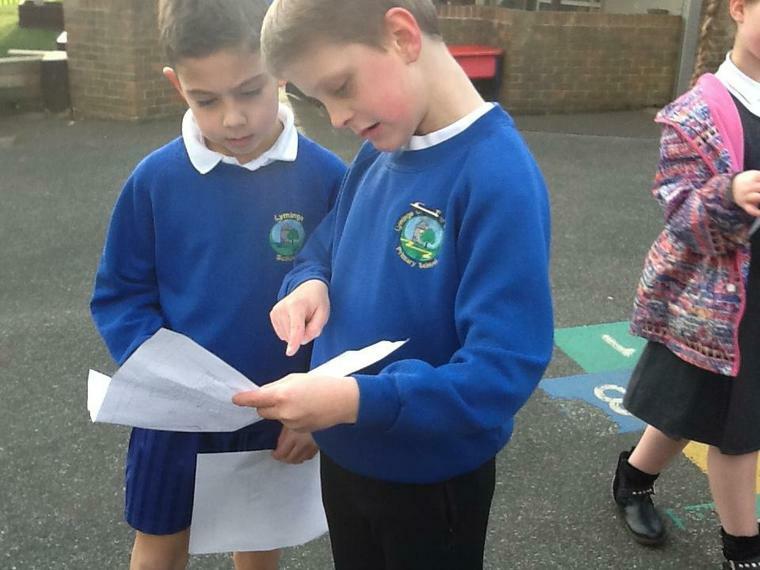 This week we continued our orienteering but had to be code breakers! 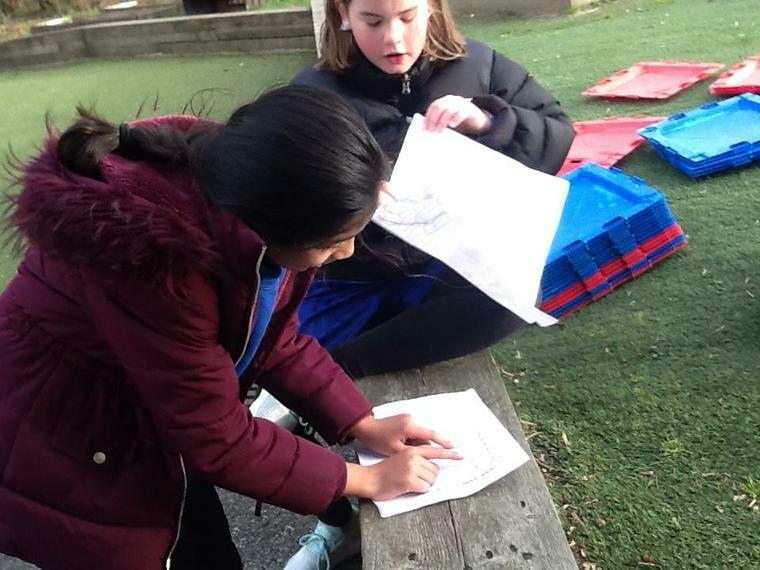 We continued with our earthquake sessions and designed our own earthquake resistant towns complete with sea walls, alarms on the railway lines, earthquake resistant buildings and forests. 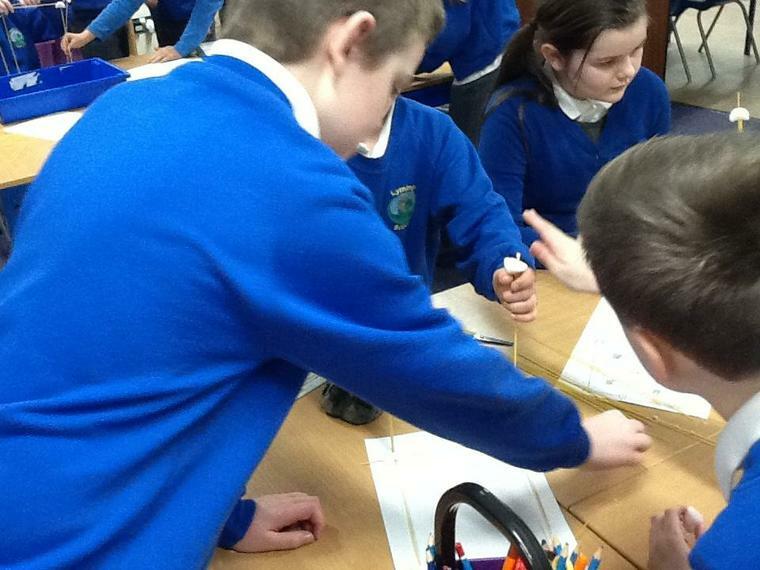 We have been looking at the states of matter: solids, liquids and gases. 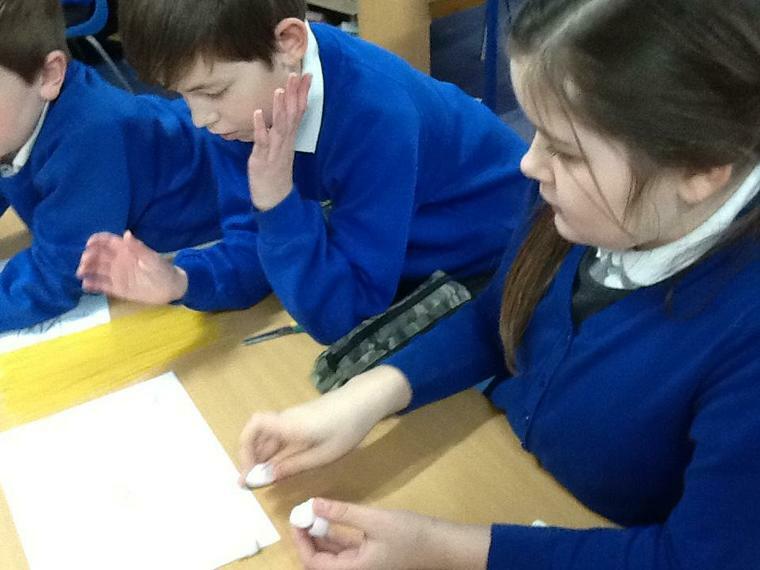 We melted chocolate at different temperatures and acted out how the particles change from a solid to a liquid. 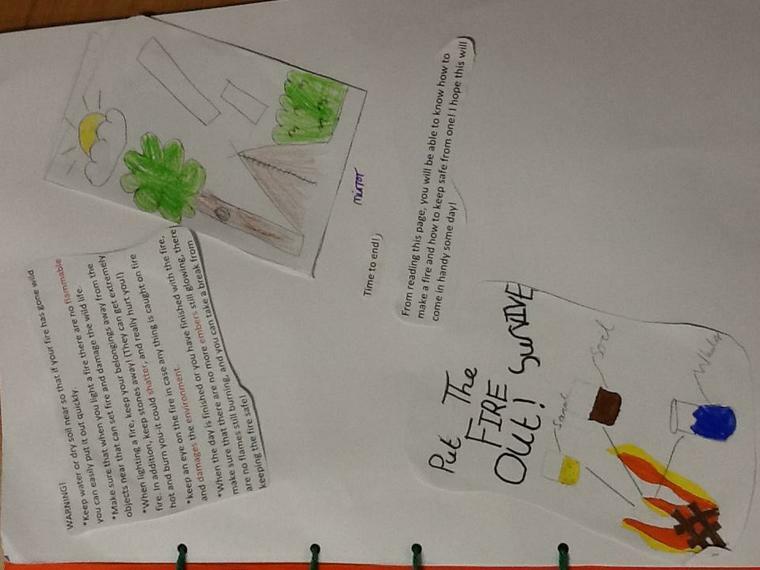 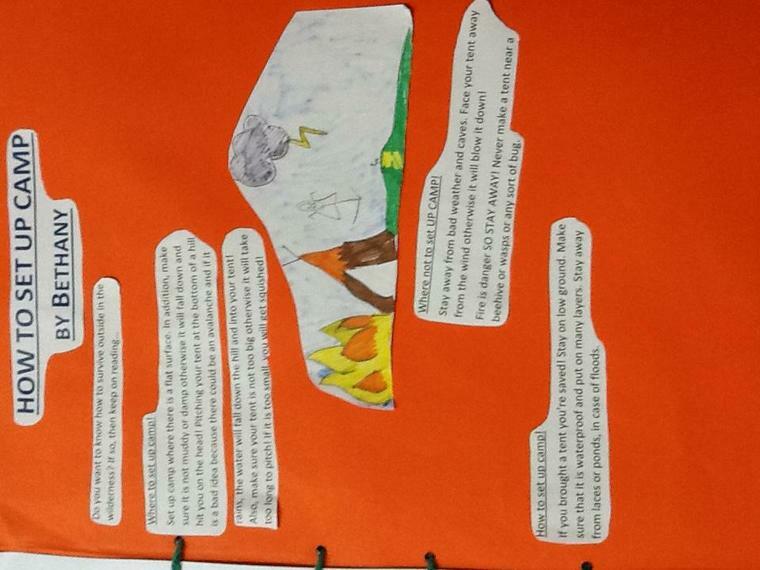 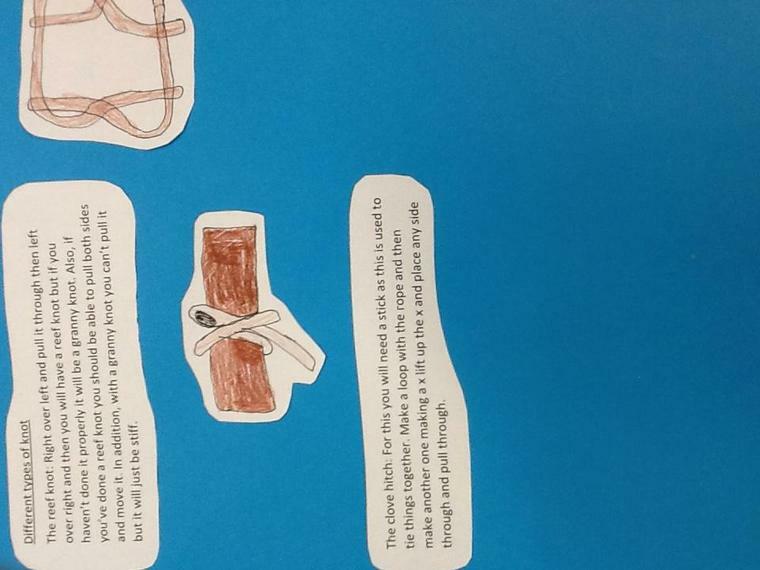 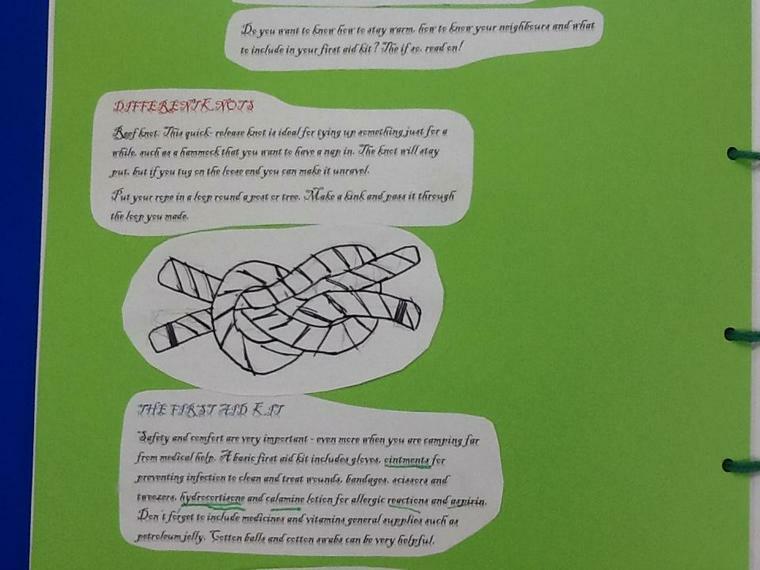 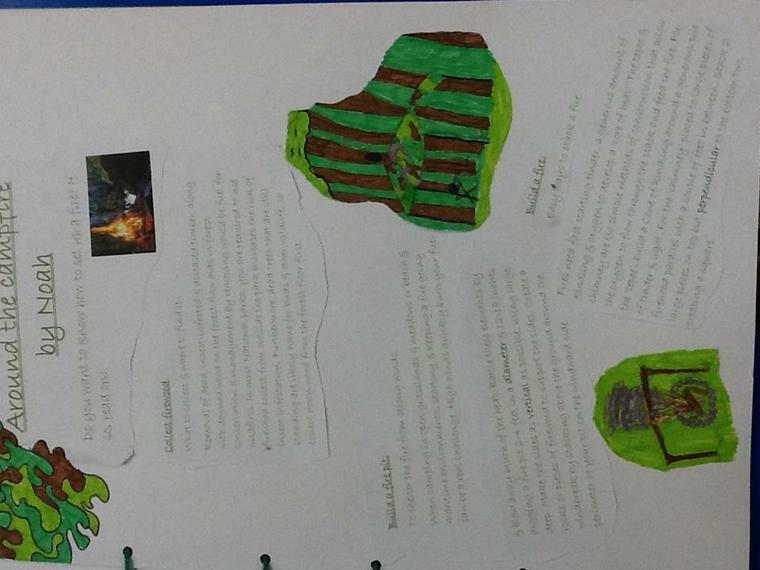 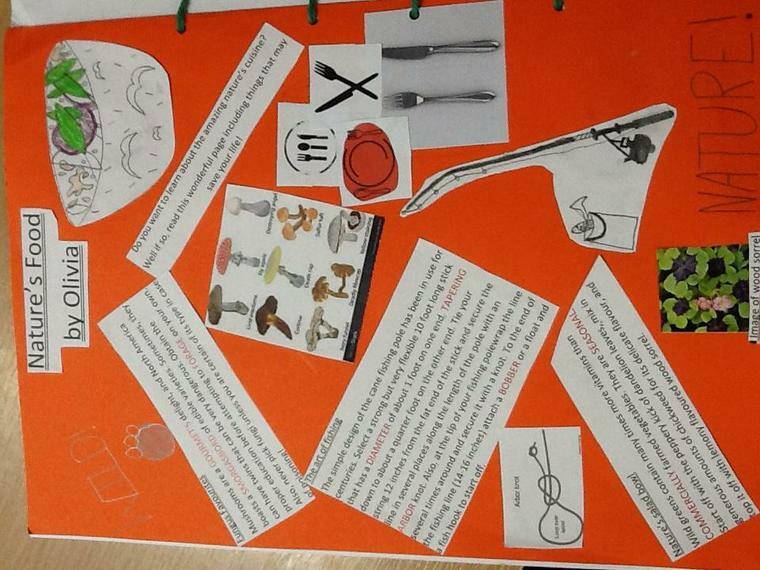 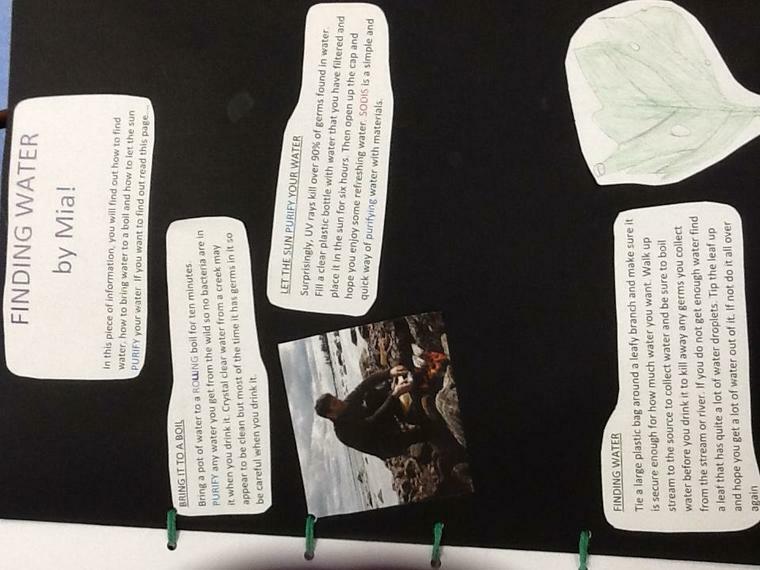 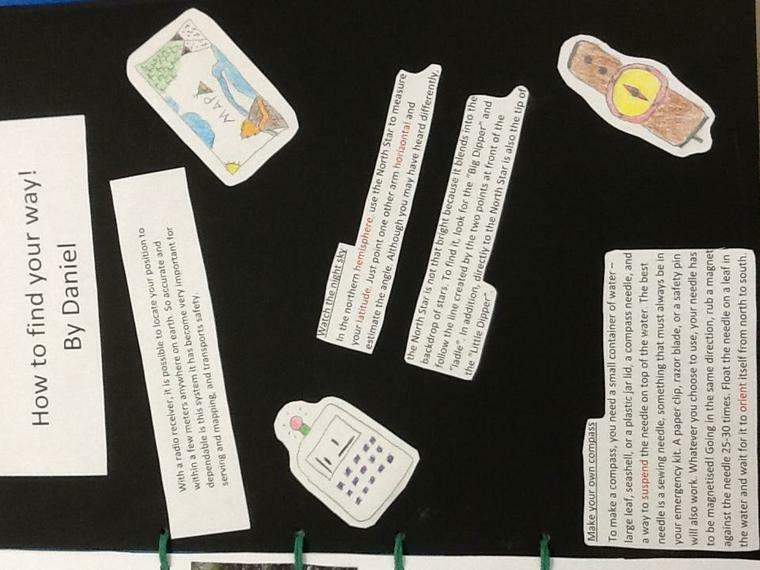 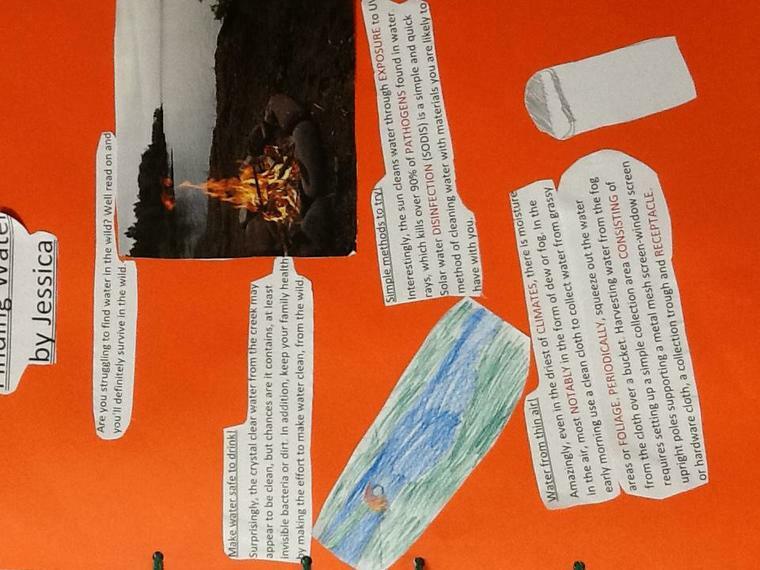 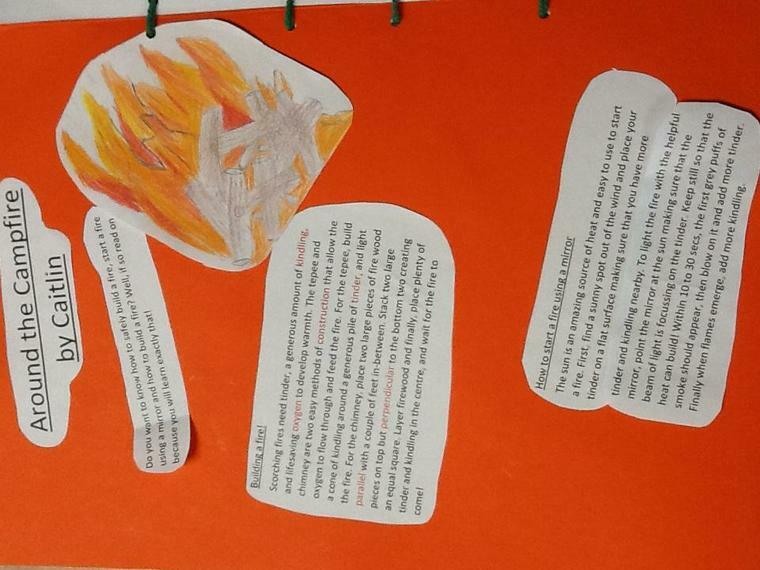 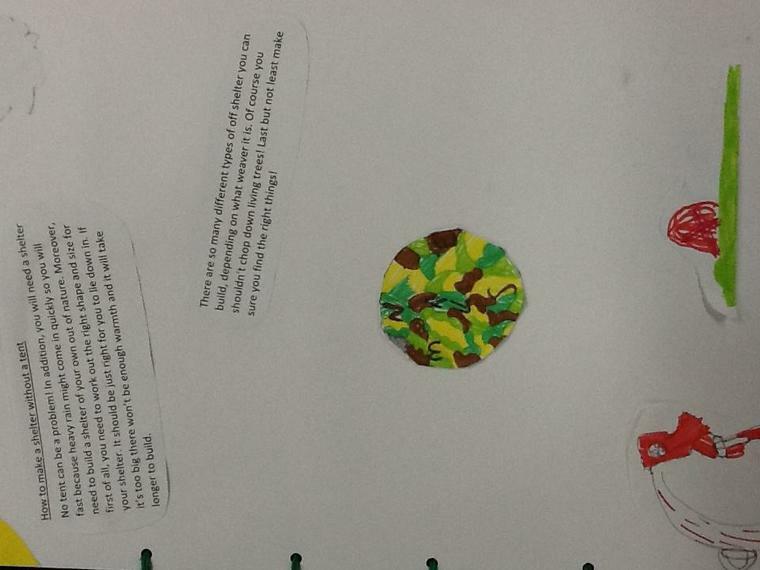 Week 4: Can I create a survival book? 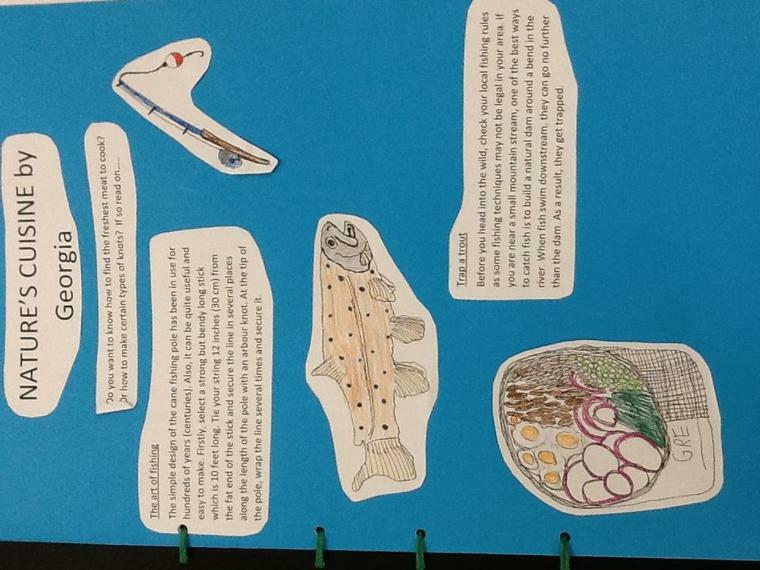 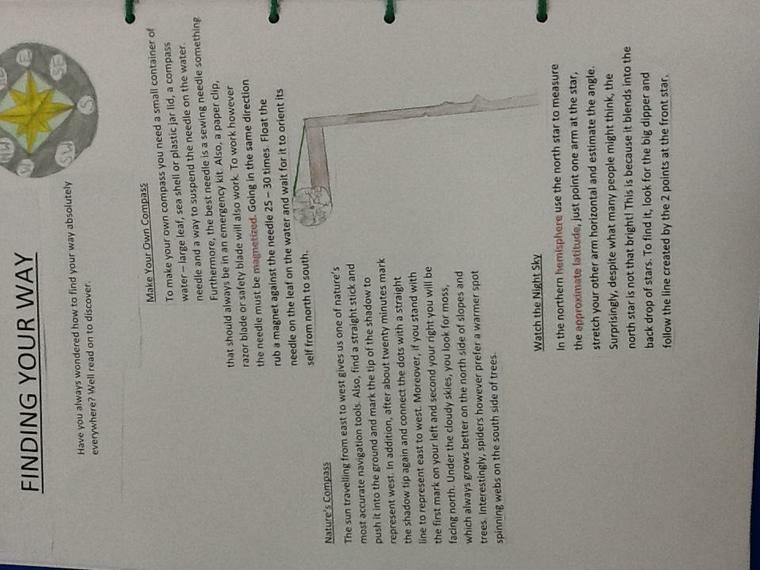 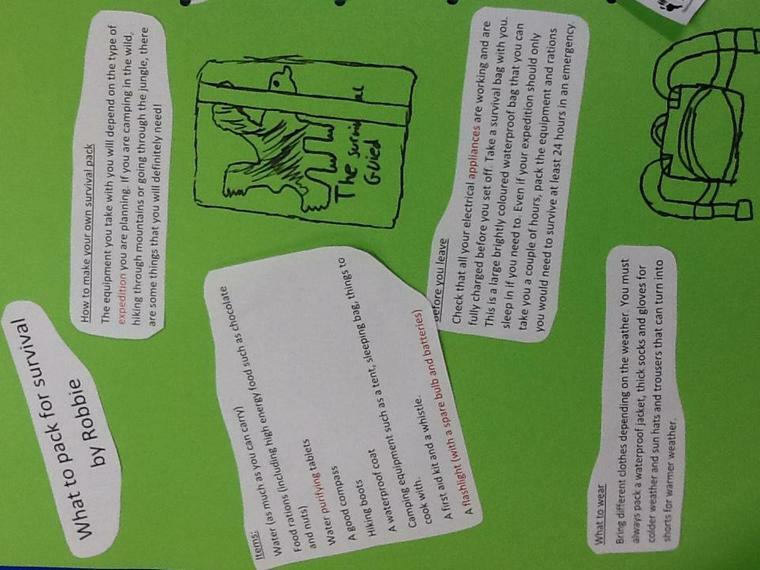 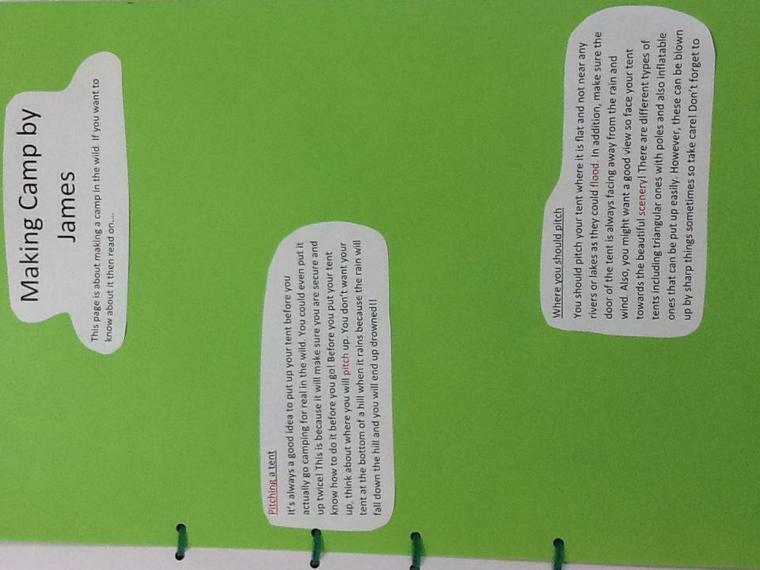 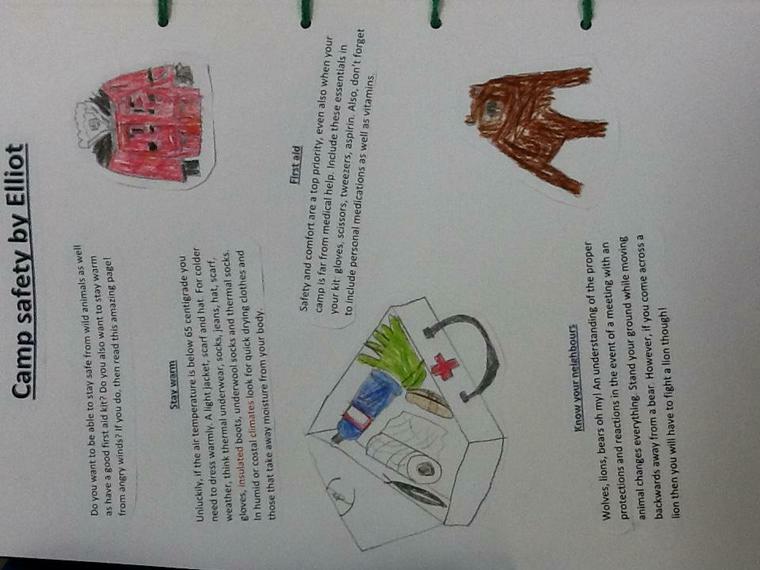 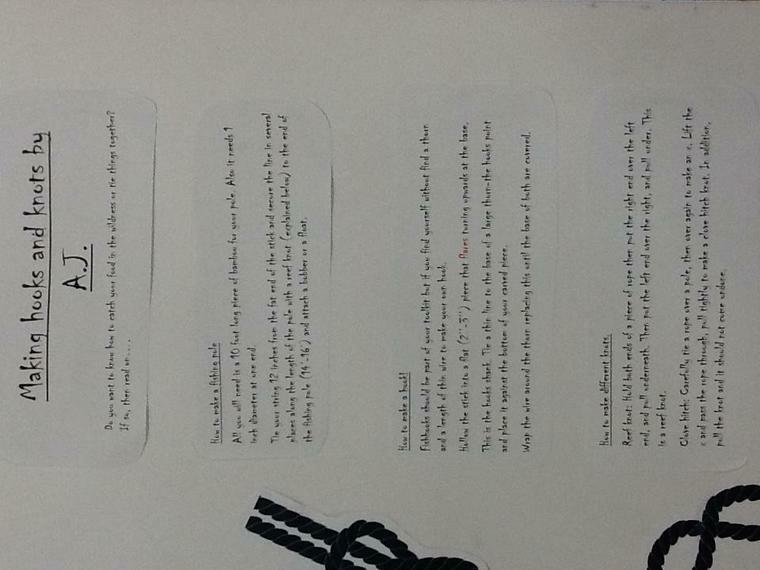 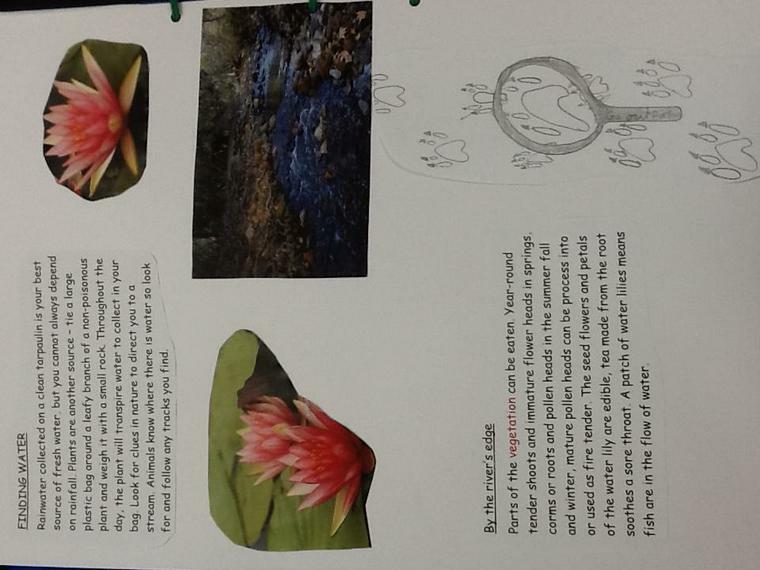 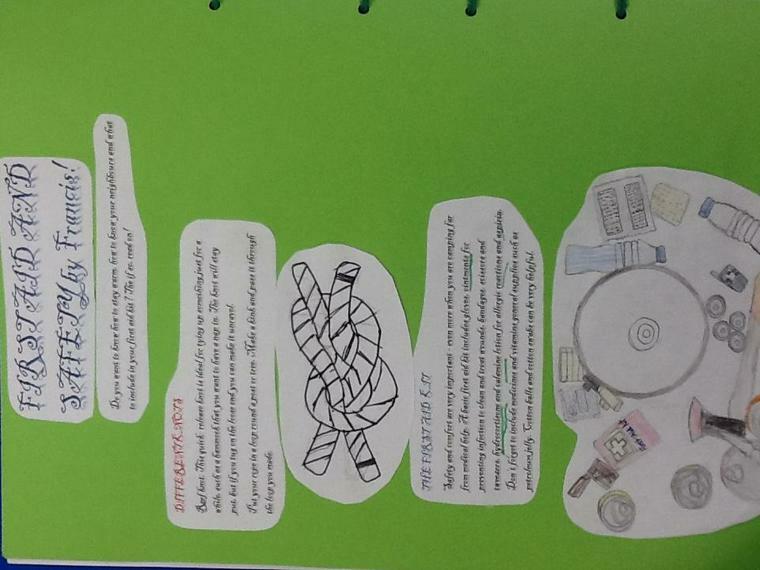 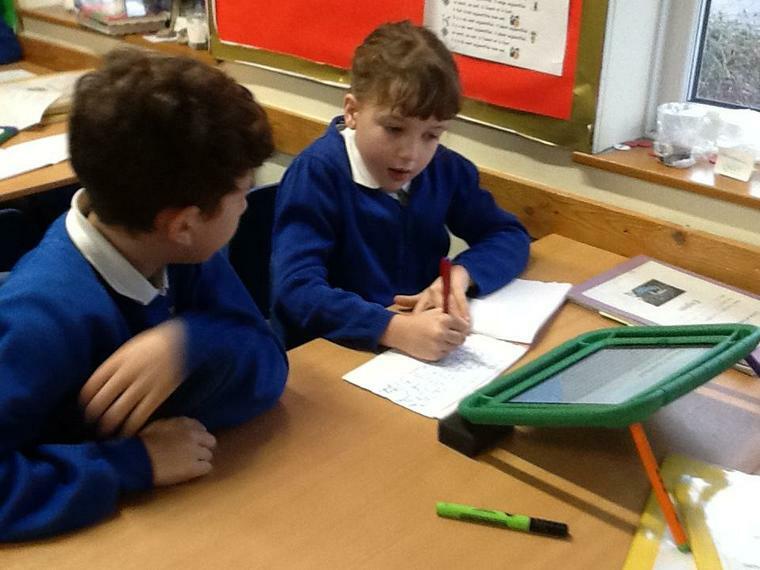 This week we began planning our own survival booklets using new knowledge about information booklets. 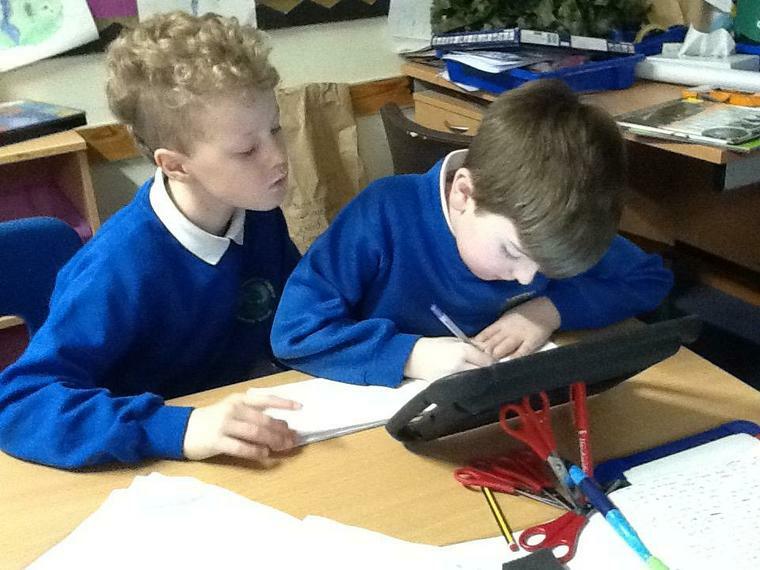 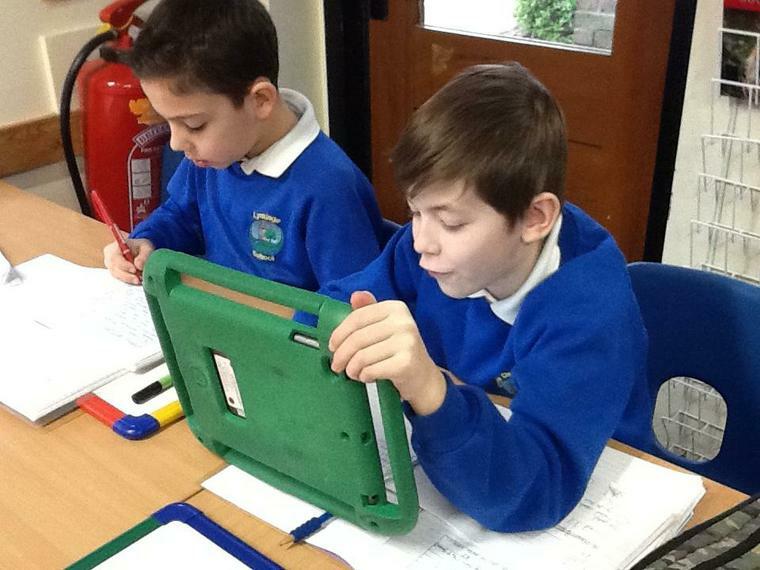 We worked in collaborative groups to plan our topics and used the IPADs and books to research survival information of our choice. 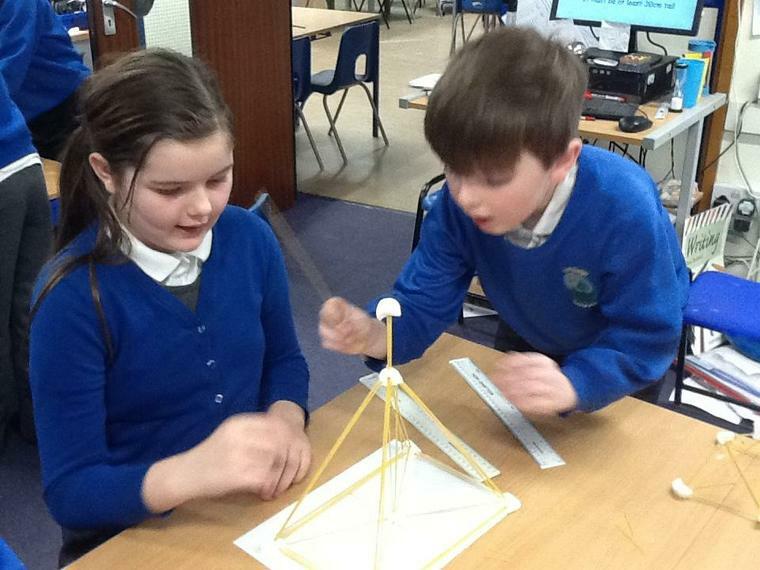 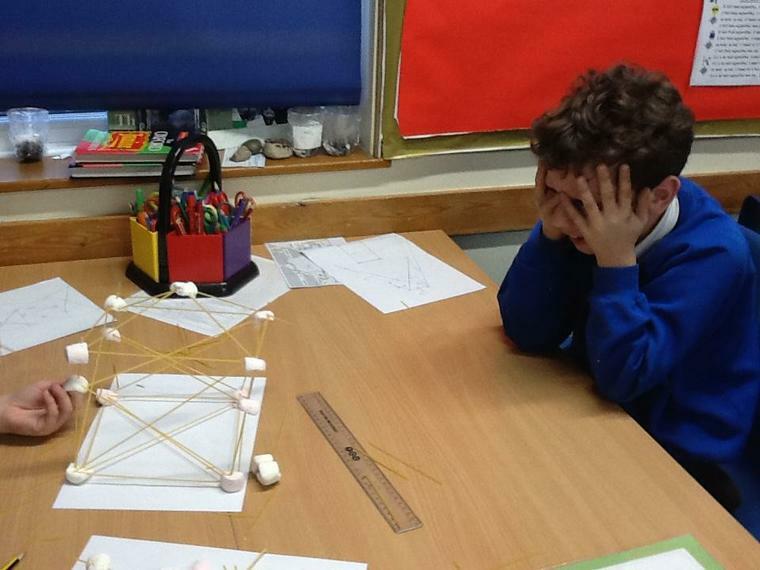 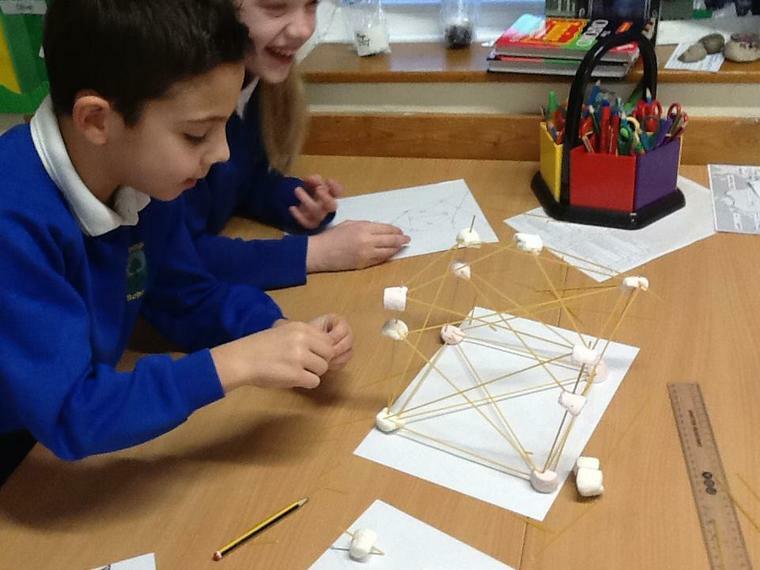 Week 5: Can I create an earthquake resistant building? 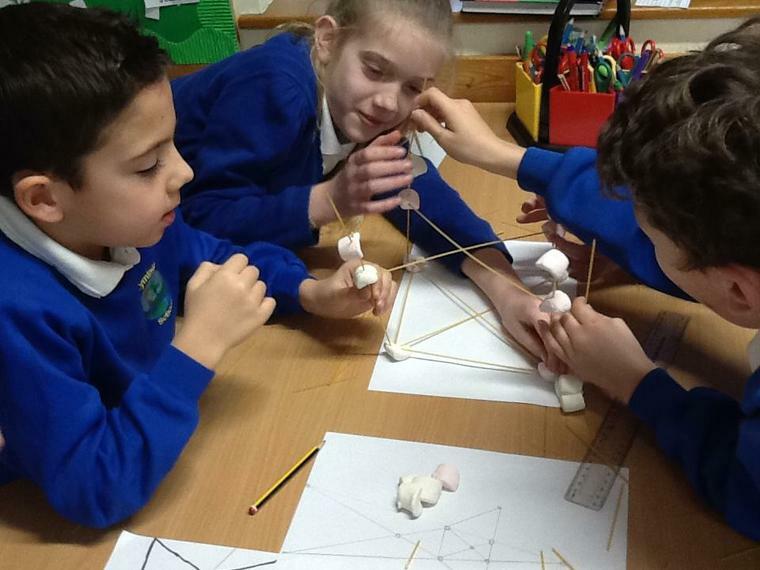 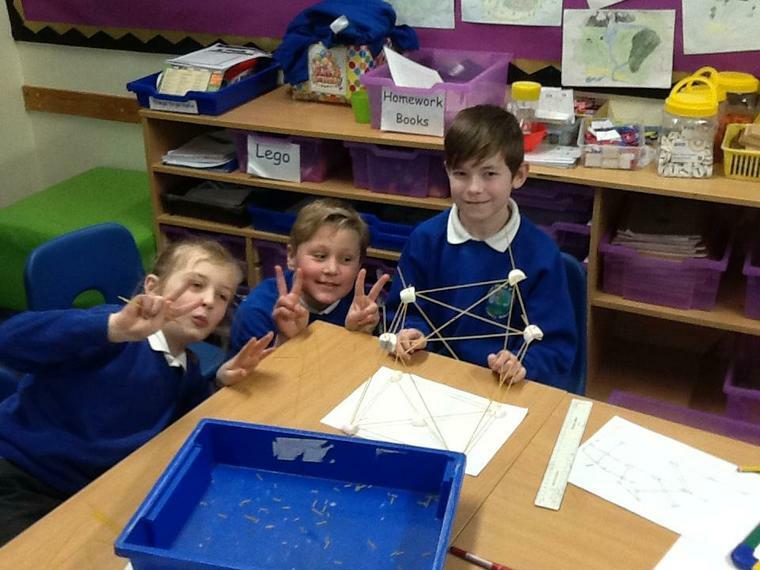 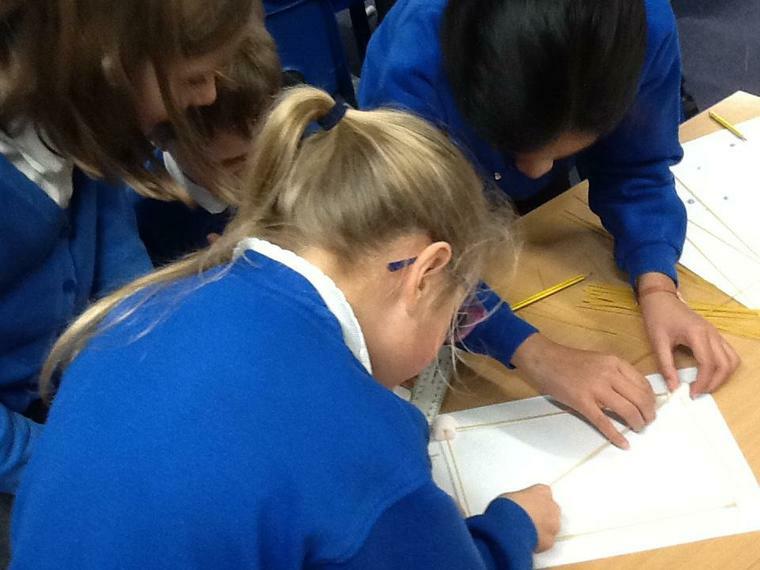 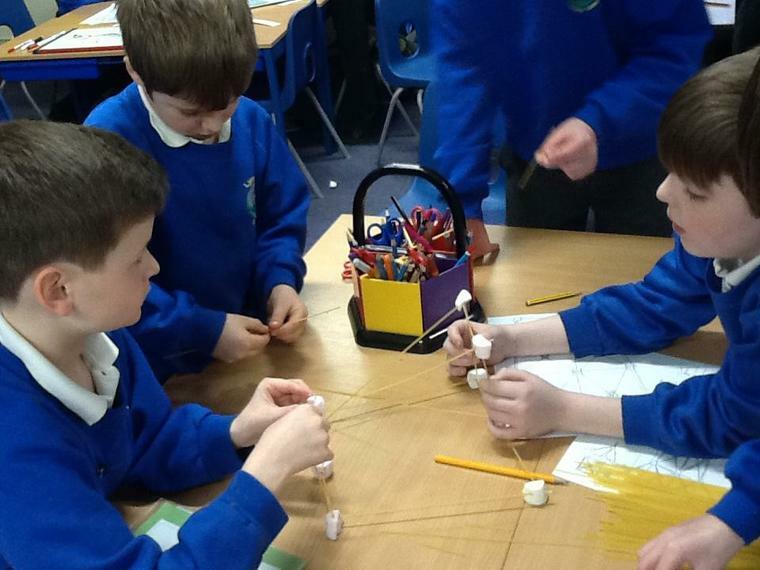 This week we thought about what makes a strong structure including triangles, cross bracing and sheer walls. 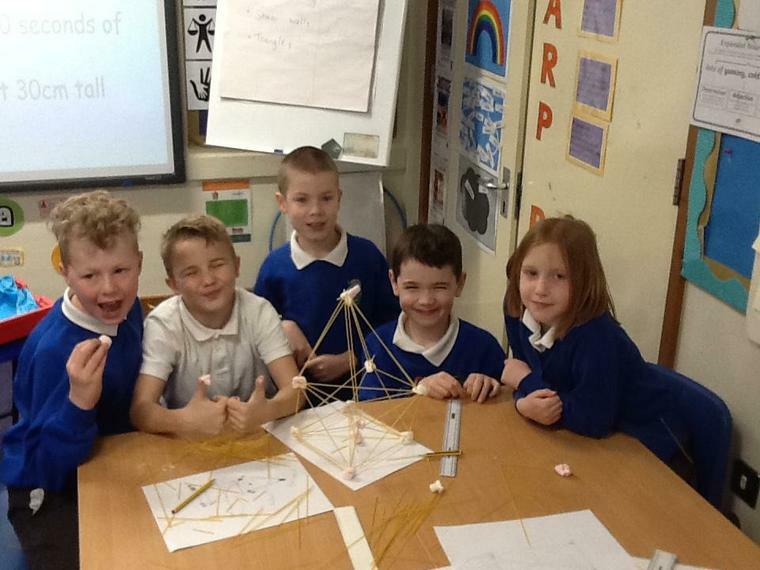 We worked in our collaborative groups to create our own earthquake resistant buildings with spaghetti and marshmallows.... fun but sticky!!!! 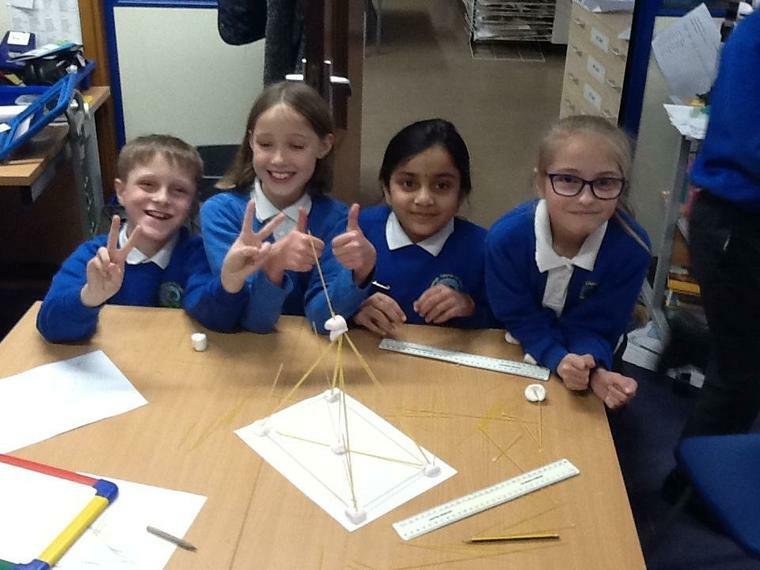 The buildings had to be over 30cm and withstand 10 seconds of shaking!! 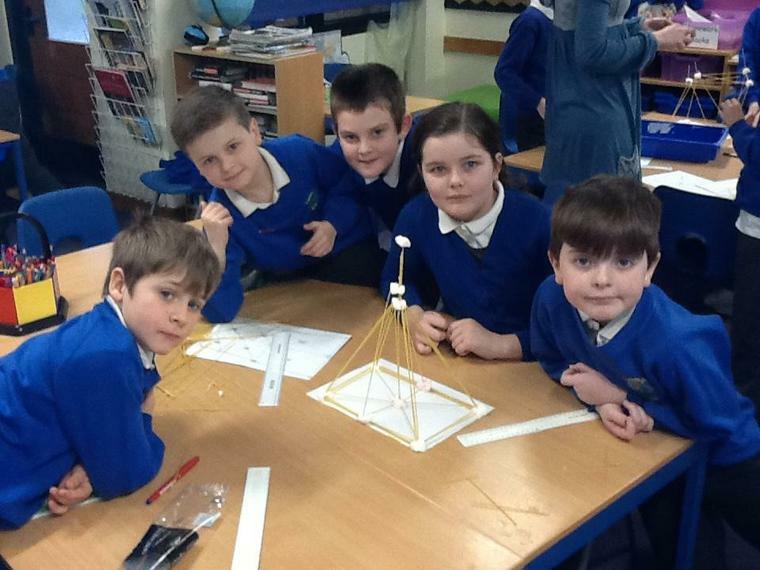 Some were more successful than others! 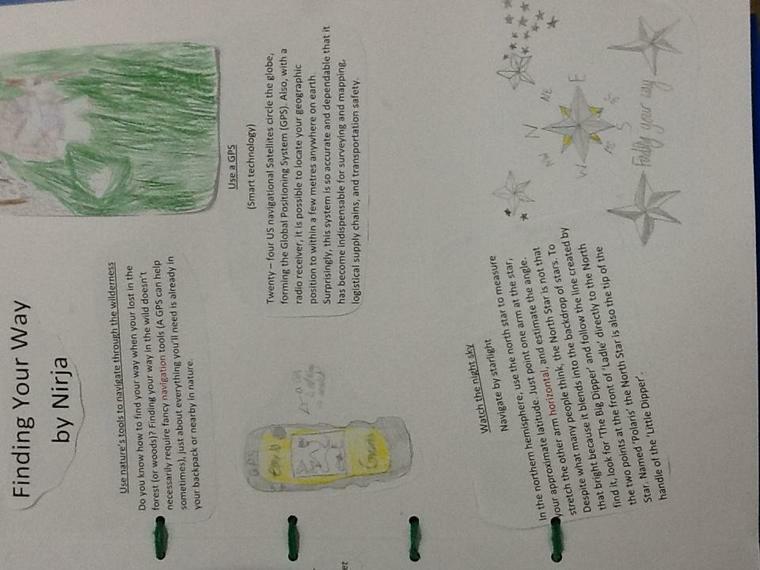 Week 6: Can I purify water? 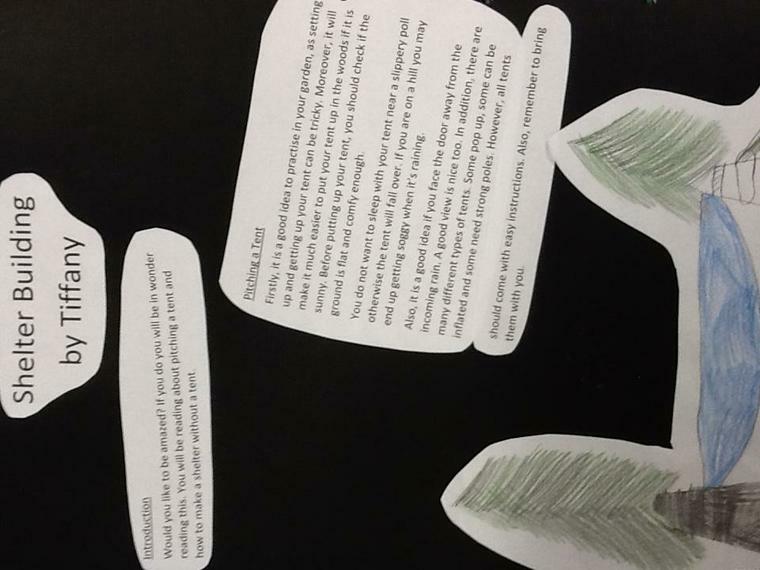 This week we finished our survival big question by investigating how we could 'clean' dirty water full of pebbles, sticks, earth and sand! 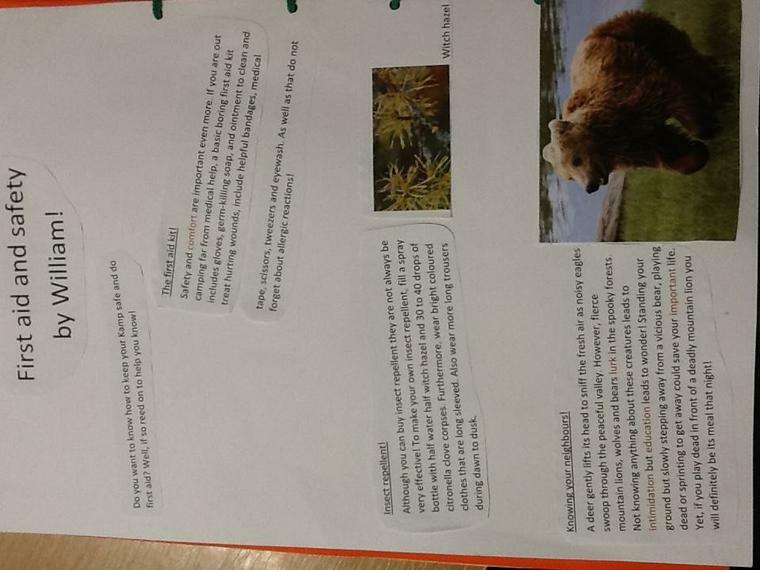 We finished our amazing survival big books - complete with exciting front covers, contents pages and even glossaries for challenging words! 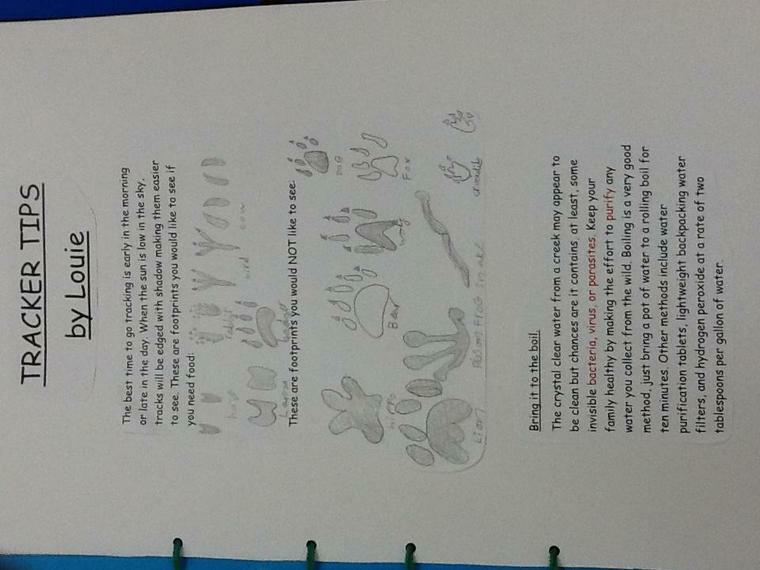 We are very proud of our books and hope to share these with other classes!